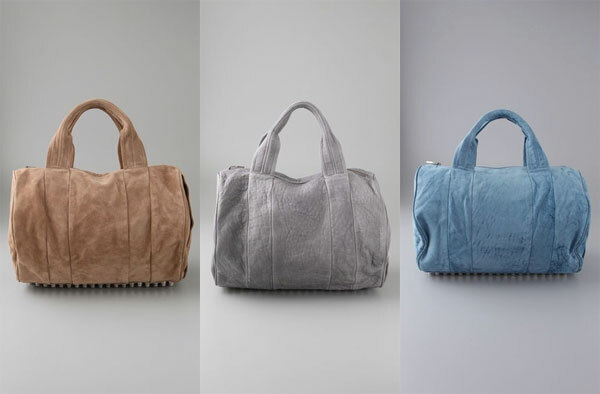 Alexander Wang Coco Duffel handbag is a must have bag for this season. It is leather (black, grey, etc) with tiny gold-toned studs. The bag easily stands out and adds an edge to everyday and evening outfits. Many celebrities have already worn the bag, such as Kristin Cavallari who is a true Coco Duffel lover and wears the bag everywhere even to the gym, Nicky Hilton, Mary Kate Olsen,etc. The bag had reportedly over 400 people on the waiting list at Barney's New York.